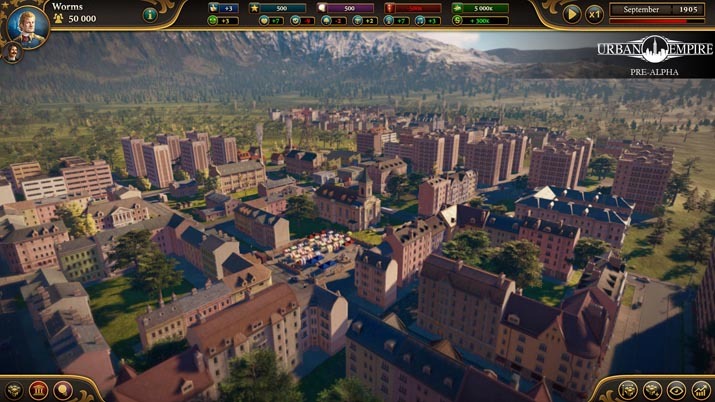 A pioneer in the city-builder genre, Reborn Games and Kalypso Media Digital have recently released “Urban Empire.” Starting in the 1800s, the player is immersed in a time where the political, economic, and social landscapes of Europe change with the wind. After choosing one of four families, each with unique characteristics, players must navigate these ever-changing landscapes, by whatever means – scientific, cultural, and political – they see fit. As time progresses, views change, political parties shift and split, and players are ultimately faced with more and more complexity. 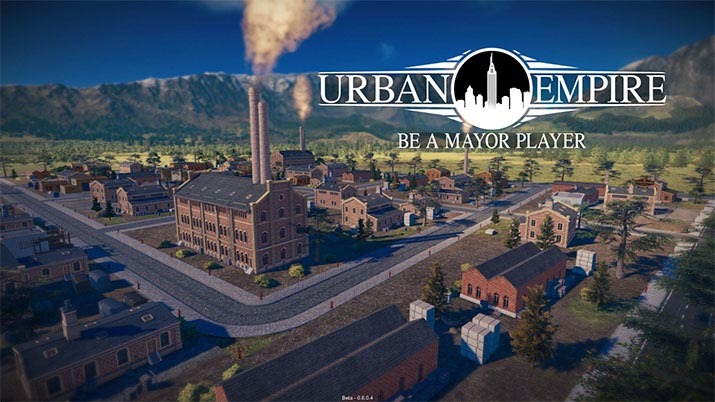 While easily mistaken as a city-building simulator, the developers have stated that Urban Empire should be considered more a game of political strategy. Seriously, it says so right in the description! If you miss this fact, it will become apparent after about ten minutes of gameplay. 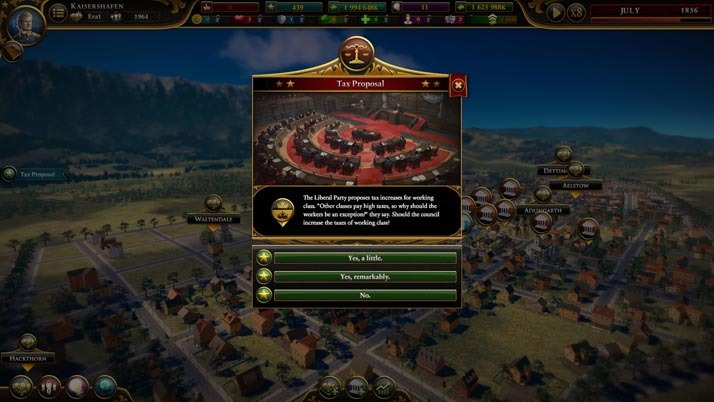 As an avid fan of Tropico, I genuinely enjoyed the hilarity of politics as well as the emphasis on city building, but – I stress – Urban Empire is an entirely different animal. Players can expect to experience politics in a much more serious manner, the kind that criticizes every decision you make. These decisions are, of course, made democratically, meaning every edict and proposal must be appealed before the city council and its various parties. On the flipside, and much to my discontent, there appears to be little emphasis on city-building itself. With only a small handful of buildings the player can actually construct, Urban Empire seems to have put all of its faith in the political gameplay, and I found it difficult to immerse myself in Urban Empire for extended periods of time. One aspect, however, saved the day. As a massive history buff, the accuracy and depth of Urban Empire, throughout the ages, really stood out. This title boasts some thorough research, and for that, Reborn Games, I salute you. Unfortunately, my praise hits a wall when bridging the gap between well-researched accuracy and tangible gameplay. As you might expect, the pace incredibly slow. Okay, I understand the month by month time progression, but there is simply not enough going on to warrant it. The city council must approve almost every decision you make, which takes an extended period of time. During this period, you have the option to appeal to each party, but you are inevitably stuck filling your time with other activities, such as grabbing a snack, cracking open a beer, or – in my case – typing up its review, which feeds into my next qualm: the music. At the start of the menu and into the first twenty minutes of gameplay, the music promises the player an exciting and rewarding adventure. I genuinely enjoyed it too, but later, I came to realize that Urban Empire lacks a healthy soundtrack. Whether there are only two or three songs, or just one, it was hard to tell due to the fact that it was consistently the same orchestral sound. I believe that music has a prevalent subconscious effect on the player’s mood; in this case, it had an irritating effect on mine. It sounds great at first, but the soundtrack quickly wears on the player. While the mute button in the settings easily fixes this, the importance of good background music in any title cannot be underestimated. In stark contrast to its music, almost every graphic element in Urban Empire is rather impressive. Zooming in on the city as it grows reveals a lot of well-designed details that make the passing of time somewhat more tolerable. The user interface was eloquently constructed in a way that combines form with function. For anyone who appreciates history as much as I do, the architecture and technology observed throughout the city accurately portray sights as if seen out of a history book. Urban Empire’s economic system has a sort of autopilot feel to it, to my disappointment. As mayor, the player should have had much more influence over the city’s economy than what was granted. I can respect the developers desire to capitalize on its political system; however, perhaps not to the extent that such focus can limit the depth of other aspects of gameplay. Many other players have reported facing many bugs while playing. Happily, I did not encounter a single bug in my four hours of gameplay. So, while Urban Empire may not be everything you really want it to be, the developers are actively working to improve it.